As is usual, this year sees festivals of many genres gracing both our region and afar. There are festivals to suit all tastes, whether one wishes to be enthralled by classical, chamber or folk music, intoxicated by rock music, lose oneself in poetry and literature, be fascinated by the finesse of local artists and makers or even resolve to do something completely different, such as visiting the Isle of Wight to learn to play the harp. Revel in your time! Cultured, quirky, entertaining, exciting and fun! 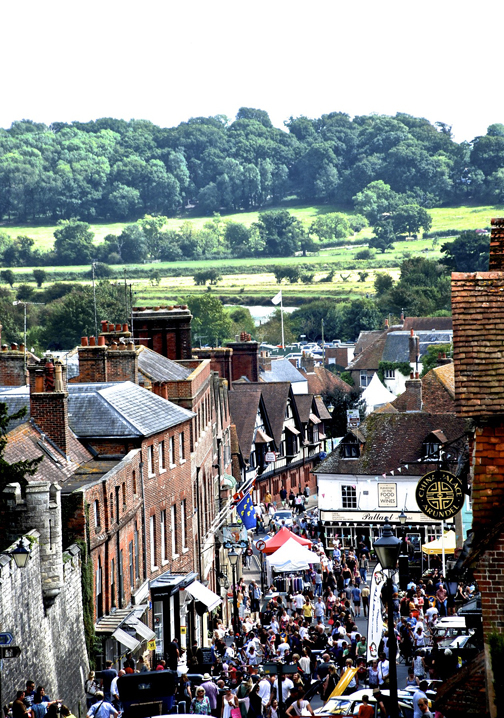 For the discerning festival-goer there is no better experience than the Arundel Festival. Since 1979 Arundel has opened its doors to thousands of visitors from all over the world to enjoy the unrivalled art and cultural offerings over ten days every August. Arundel Festival is a community and arts festival providing activities and entertainment for all ages and tastes. Last year there were 247 individual events covering art, theatre, street entertainment, children’s activities, live music, sport, food and wine. Regular events include gallery and theatre trails, music in Jubilee Gardens, duck races, 10k run, wine trail and so much more. Last October Arundel Festival was awarded ‘Festival of the Year 2016’ at the Sussex Life Awards ceremony. It was a wonderful public acknowledgement of this fantastic festival and a great accolade to the many volunteers who put both time and effort into making the annual event such a great success! Visit www.arundelfestival.co.uk for updates and event listings. 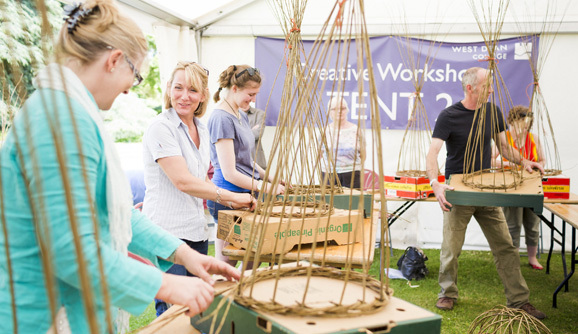 Be inspired by an outstanding showcase of arts and craft at the UK’s definitive craft festival. Have a go at a kaleidoscope of crafts, meet the makers and be inspired by a rich heritage of arts and craft. Be amazed by live arts performances and talks by emerging artists, experts, and West Dean tutors and graduates. Discover a new skill in a hands-on workshop (additional charge) or drop into arts and craft huts in the gardens to have a go at knitting, sewing, gardening and more (free). Be fascinated by craft demonstrations; see blacksmithing, metalwork, millinery, textiles, tapestry, painting and more in action. Discover the secrets of West Dean House and its intriguing arts heritage on a self-guided tour. Enjoy talks and film screenings in the Old Library. Browse and buy unique pieces from over 120 of the best designers and makers, curated by MADE. Book now to save 20%. Early bird tickets £10, students 16+ £5 – discount ends 26th May. Children are free. To find out more visit www.westdean.org.uk. The 5th eagerly awaited Southdowns Folk Festival takes place in Sunny Bognor Regis this September. The line-up includes Steve Knightly, Home Service, Skerryvore and Richard Digance. There will be able support from The Jigantics, Megson, Alistair Goodwin Band, the irrepressible Flossie Malavialle, Phillip Henry and Hannah Martin, the Jigantics, Sarah McQuaid and Steve Dan Mills. Fans will be very happy to see the inclusion of Home Service in the line-up. This critically acclaimed electric/folk band seemed to be done and dusted after the release of their last album in 1986. But they have reformed and are still a brilliant band. Why they ever went away is a mystery! Visit www.southdownsfolkfest.co.uk for more info and to book tickets. The festival is a packed weekend of music focused around the life and work of Robert Schumann. With music from much-loved composers, Schubert, Chopin and Brahms, alongside those less celebrated: Clara Schumann, Robert Kahn and Hermann Goetz. The organisers are delighted that renowned piano-manufacturer Paul McNulty is bringing three pianos from his workshop in Prague for the duration of the Festival. These pianos, modelled on instruments from three different eras in history, will provide a sound-world specifically suited to the wide-ranging programmes, creating unique and intimate performances. 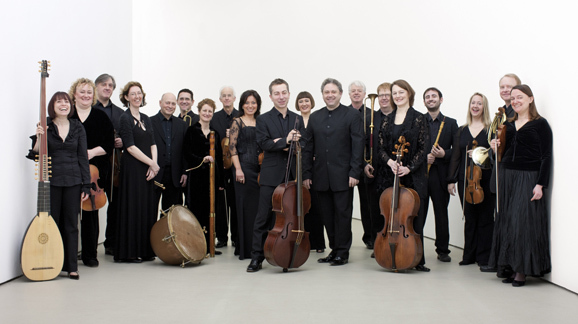 The festival musicians include Tim Crawford, Mathilde Milwidsky, Beatrice Philips, Bogdan Bosovic – violins; James Boyd, John Crockatt – violas; Philip Higham, Robin Michael, Hannah Sloane – cellos; Bengt Forsberg, Tom Poster, Huw Watkins, Sam Hayward – pianos; James Gilchrist – tenor; Alec Frank-Gemmill – horn; Matt Hunt – clarinet and the Eusebius String Quartet. For full details of all the concerts and booking tickets visit www.leweschambermusicfestival.com. From its outset, the Petworth Festival has been able to attract the biggest names in classical music and this year is no exception with visits from leading British baritone, Roderick Williams; former BBC Young Musician of the Year, cellist Natalie Clein; the remarkable Canadian pianist Cédric Tiberghien; and ensembles including the Coull Quartet, the Gould Piano Trio and the European Union Chamber Orchestra. The extraordinarily popular Jazz in The Stables event brings the energy and sophistication of London Savoy Hotel regulars, Alex Mendham and his Orchestra, whilst top chanteuse and Radio 2 presenter Claire Martin returns to St Mary’s Church with an all-star ensemble in a celebration of great songs from great movies, entitled Hollywood Romance. 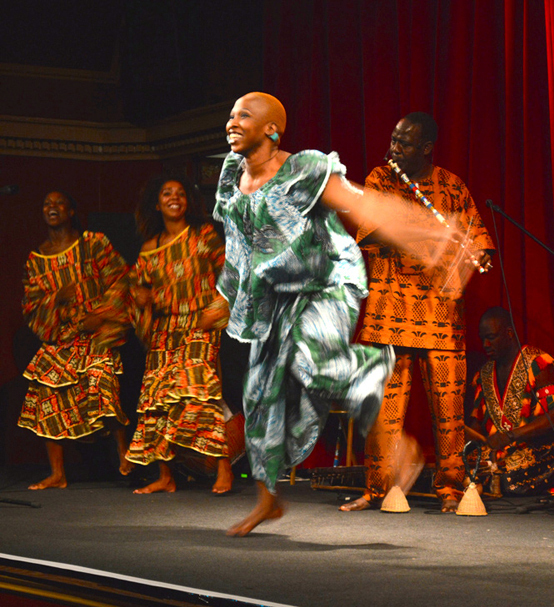 Traditional and world music again feature with welcome visits from two remarkable ensembles, the Bulgarian Bisserov Sisters, and the Senegalese/Brazilian/Italian supergroup that is the AKA Trio. 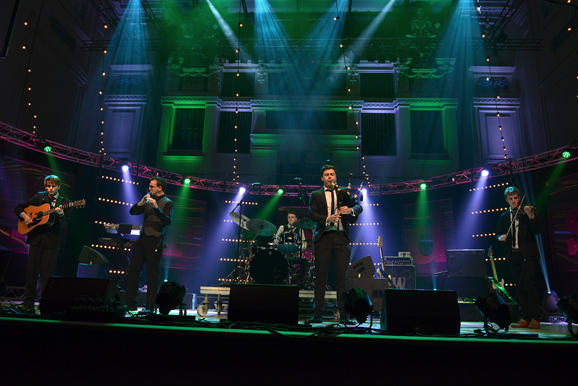 Comedy this year features no less than four acts headlined by top stand-up Hal Cruttenden and the international stars that are the Rainer Hersch Orkestra. Angus Deayton and colleagues will appear in Midhurst as they recreate two episodes from the cult 1980’s Radio 4 series, Radio Active. The visual arts are returning to the festival in the shape of Frances Hatch’s Impromptu at the Kevis House Gallery. Family and community events also feature with a performance of The Emperor’s New Clothes, and perhaps the most potentially enjoyable Come & Sing event ever, as top choral director Ben Parry invites all-comers to join in a sing-along Sound of Music. 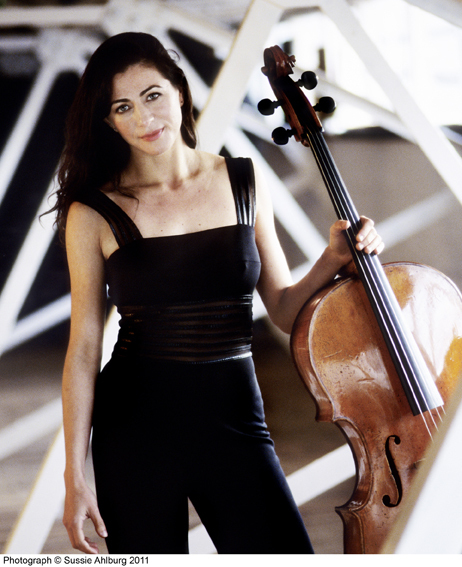 Tickets are available at www.petworthfestival.org.uk and by phone on 01798 344576. April 30th, 6.30pm, preceded by a peel of bells at St Mary’s Church, Shipley, a virtuoso programme of String Music. June 2nd at 7.30pm at The Blue Idol Quaker Meeting House, Oldhouse Lane, Coolham, an evening of company with Festival Musicians followed by a performance of Olivier Messiaen’s ‘Quartet for the End of Time’, probably one of the most expressive pieces of 20th century music. Andrew Bernardi (violin); Tim Lessels (clarinet); Jonathan Few (cello); Maria Marchant (piano). June 4th at 6pm at Warnham Park, Horsham, music by Festival Friend and composer Stephanie Cant, Robert Schumann’s ‘Piano Quintet’ and Rebecca Clarke ‘Piano Trio’. June 11th at 5.30pm at Knepp Castle, West Grinstead The Wilding Concert with Sculpture by Edward Eustace and to include Schubert’s ‘Trout Quintet’. June 25th at 5.30pm at St Andrew Parish Church, Nuthurst Street, Nuthurst, The String Academy and the Yehudi Menuhin School conducted by Malcolm Singer perform music including Elgar’s ‘Introduction and Allegro’, Dvorak’s ‘Serenade for Strings’, Bartok’s ‘Six Romanian Folk Dances’ and Monti’s ‘Czardas’. Visit www.bmglive.com/shipley-arts-festival and www.thecapitolhorsham.com for full details of all concerts and events. Now in its 45th year, the 2017 Festival opens with a centenary celebration of Cornish poet Charles Causley with settings by relative Jim Causley, and closes with a bang with Brittany’s stomping Hop’Op’Ops. 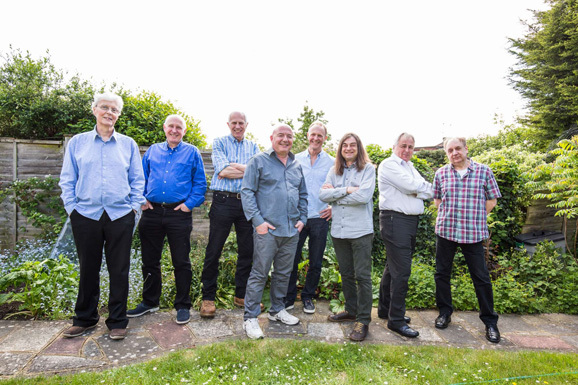 In between Scotland’s jazz-folk Dosca, Mark Radcliffe’s Glastonbury favourites Three Daft Monkeys and Dalla, the first supergroup in Cornish Celtic music, comprising four of the foremost proponents of traditional Cornish music, will be performing. 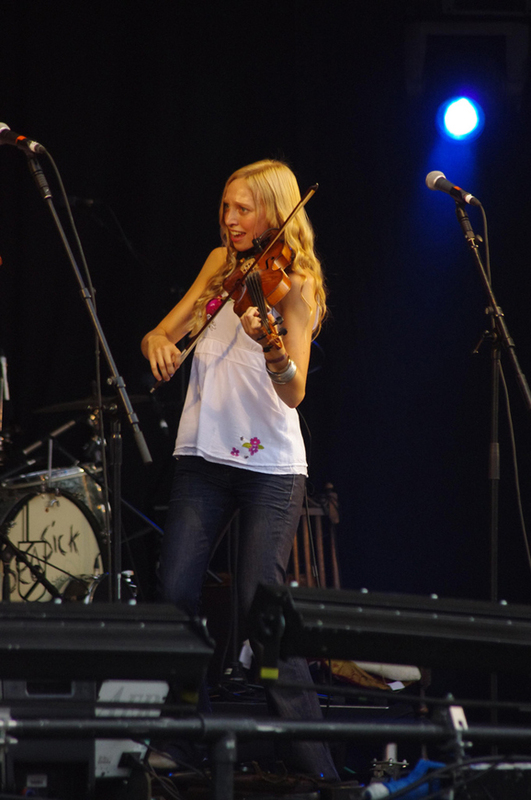 Established stars Cara Dillon and Dougie McClean are appearing along with BBC Folk Awards Best Young Newcomers Phillip Henry and Hannah Martin. The Fringe Stage showcases back-to-back talent from the South West. Pub sessions and music are in abundance on Wadebridge’s compact streets and make for one of Britain’s finest small festivals, perfect for August Bank Holiday’s last blast of summer. Visit www.cornwallfolkfestival.com for further info. Deal Festival celebrates its 35th Birthday in 2017 with an amazing line up of international artists. International trumpet player and Festival President Alison Balsom launches the festival and Courtney Pine and the Ukulele Orchestra of Great Britain complete the first weekend, while Ronnie Scott’s Big Band and world famous opera singer Sarah Connolly perform in the middle weekend and Sir John Tomlinson and Freddy Kempf with Wiener Kammersymphonie the final weekend. The 17 days of the Festival are filled with amazing entertainment including The Moulettes, Scott Brothers, Contemporary Dance and Music at Turner Contemporary in Margate, Hamlet at Dover Castle, Academy of Ancient Music with GSMD and Choristers of Canterbury Cathedral and a celebration of the life of Elizabeth Carter. There will be pre-concert talks, sound installations in the grounds of The Pines Calyx, plus a celebration of the Festival’s innovative education work. Full details are on www.dealfestival.co.uk. Tenterden Folk Festival started 25 years ago as a small one-day event in a couple of venues in Tenterden. Now 25 years on it is a four-day festival of all things folk including folk songs, music, dance, crafts and traditions and attracts people from all over the country. 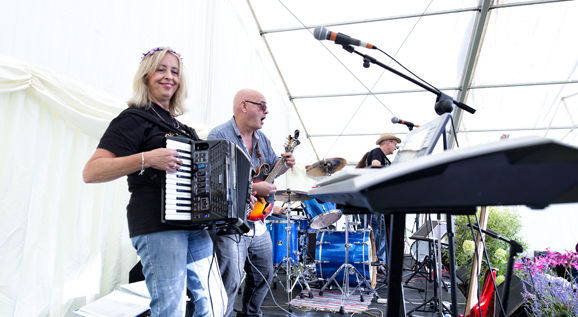 Due to the popularity of the festival the number of craft, artisan and folk related stalls in the marquee and High Street grow each year and there is a list of groups wanting to play on the free music stage. As many of the events are free, fundraising is well underway and several new sponsors have already come forward to help. A crowdfunding campaign was launched in December and details can be found at www.crowdfunder.co.uk/25th-tenterden-folk-festival. Visit www.tenterdenfolkfestival.org.uk for more information. The University of Winchester Writers’ Festival is for emerging writers working in all forms and genres. Its three-day programme includes eighteen all-day workshops and twenty-eight talks on many aspects of writing and getting published, along with open mics, readings and over 700 individual appointments with top literary agents, editors and authors. 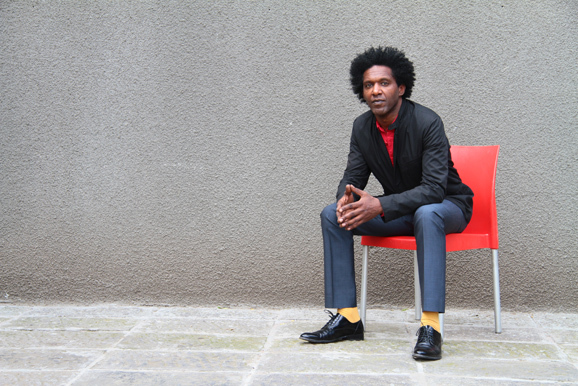 This year the Keynote Speaker is renowned poet and broadcaster Lemn Sissay MBE. Other speakers include literary agents from the Madeleine Milburn Literary Agency, Andrew Nurnberg Associates, Diane Banks Associates and United Talent Agency; commissioning editors from Salt Publishing, Little Tiger Press, Bloomsbury and Little, Brown Book Group; acclaimed authors Claire Fuller, Cliff McNish, William Ryan and Elizabeth Enfield and prize-winning poet Rhian Edwards. Of particular note is the Festival Scholarship Scheme, offering ten free weekend places to those aged 18-25. This is a brilliant opportunity for young writers who might not otherwise be able to attend. However, you don’t need to attend the Festival to enter one or more of its ten competitions. For full details see www.writersfestival.co.uk. This year’s festival looks set to be another wonderful experience of international chamber music at its best with three wonderful exponents of the genre. The London Bridge Trio, one of Britain’s most exciting piano trios, known for their deeply nuanced and searching interpretations. 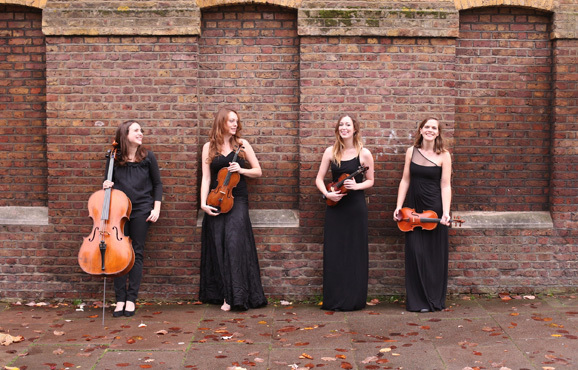 Originally formed in 2002 as the London Bridge Ensemble, they continue to prioritise strong, composer-led programmes. The Gould Piano Trio, recently compared to the great Beaux Arts Trio for their “musical fire” and dedication to the genre in the Washington Post, have remained at the forefront of the international chamber music scene for well over twenty years. 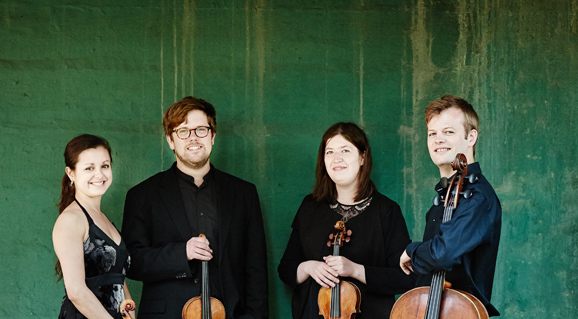 The Castalian String Quartet were formed in 2011 and over the last three years they have won top prizes at major international competitions including, in 2013, 1st Prize and the Audience Prize at the Kammermusik Hannover Next Generation Competition and 1st Prize and three special awards at the 2015 Lyon International Competition. For the full programme, plus more information on the festival itself and about becoming a friend, visit www.winchesterchambermusic.com. Uckfield Festival is now well established as the most exciting small festival in Sussex. Its ethos is to encourage innovative events while showcasing local talent in music, theatre, and dance – as well as walks, talks, children’s writing workshops and specially commissioned radio plays. 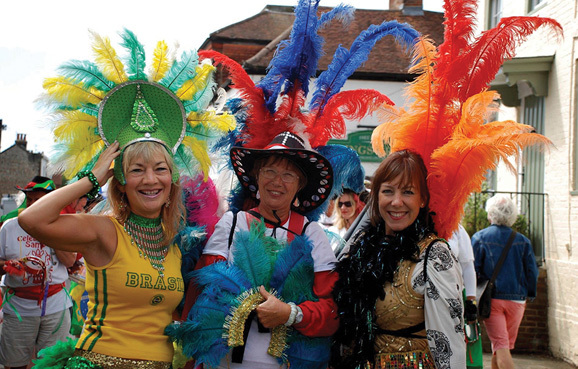 The colourful Big Day Carnival procession on July 8th is followed by a week of arts and community events. Then on Saturday 15th July there is a much anticipated visit from the inimitable Dr Phil Hammond giving his excruciatingly funny insight into life as a working GP. Next day, July 16th, the Festival swings to a close to the music of Duke Ellington played by the Jon Hamilton Big Band. For full details visit www.uckfieldfestival.co.uk. The Torbay Festival of Poetry has, over the previous sixteen years, built up an enthusiastic audience many of whom now come every year, enjoying the beautiful ambience of Torbay. 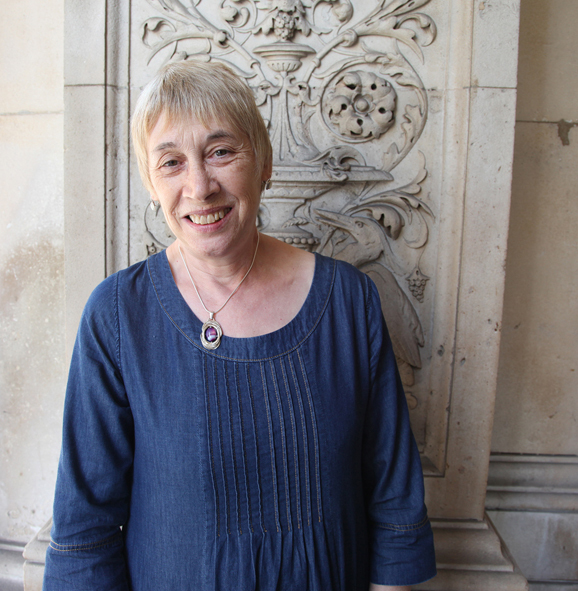 The programme is varied, ranging from readings, workshops, meet the poets, a convivial Festival Supper, a debate and fun events, many of which are free. With 25 events, poetry will fill the Festival weekend. 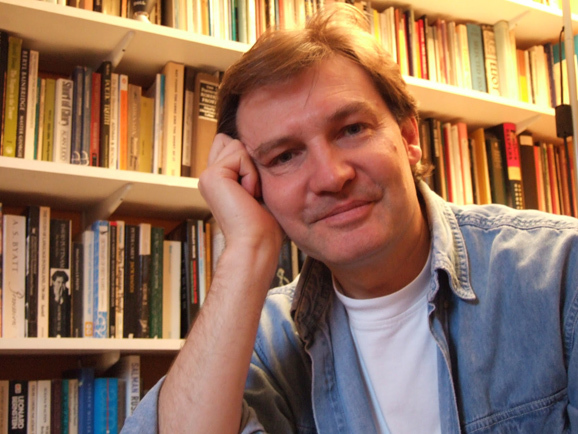 The major poets this year will be Martyn Crucefix, Duncan Forbes, Mimi Khalvati and Penelope Shuttle. Visitors to the Festival enjoy the convivial atmosphere of the Livermead Cliff Hotel, situated on the water’s edge. On-line booking will be available from the end of May when programmes can also be obtained from 6 The Mount, Furzeham, Brixham, Devon TQ5 8QY. Enter the Festival’s Poetry Competition – you could be a winner! Judge Penelope Shuttle has made her home in Cornwall since 1970 and the county’s rich history is a source of inspiration for her writing. So is the personal and artistic union Shuttle shared with her husband, the poet Peter Redgrove. Shuttle’s poems are full of elemental imagery: water, earth and, in particular, weather. For entry details see the advert on p63. Winners to be announced at the Festival Prize Winners party on Saturday 21st October at the Livermead Cliff Hotel, where short-listed poets will be invited to read their poems. Visit www.torbaypoetryfestival.co.uk to enter online after May or download an entry form, or request one from the festival address above. Music, sea and sun in the ‘Garden of England’ – folk music set against the background of the sparkling sea! Perfect! Festival tickets include all events at Folk Week, including the main concerts in the concert marquee in the town’s leafy Pierremont Park, as well as dances and concerts at the Pavilion on the Sands, from early till late; concerts and workshops at the Baptist Church; intimate gigs at the Sailing Club and most events at the Folk Week campsite. As usual, there is a plethora of talented folk acts performing at the festival. Phillip Henry & Hannah Martin, The Dylan Project, Faustus, Liam Ó Maonlaí & Tim Edey, Kathryn Roberts & Sean Lakeman, Noble Jacks, Lau, The Demon Barbers XL and The Urban Folk Quartet, to name a few. Visit www.broadstairsfolkweek.org.uk for full details. The 4th annual Harp on Wight Festival is a remarkable festival, consisting of concerts, exhibitions, workshops and the innovative Harp On Wight Harp Music Competition for 2017. All the concerts are held in the evenings at Ryde Methodist Church, Garfield Road, Ryde. Highlights include performances by Adriano Sangineto and other harp virtuosos. 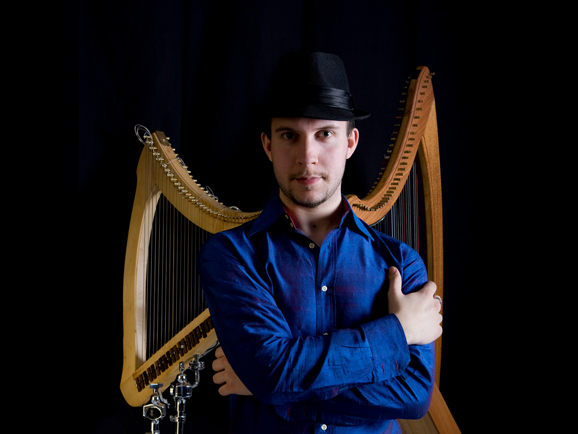 Adriano is the son of a harp maker and his love for folk instruments has led him to become an eclectic musician, expressing himself through various musical genres. He revisits Italian and European folk music, plays several wind and string instruments, and is committed to a constant search for new sounds. Other concerts feature Savourna Stevenson and Steve Kettley, Robin Huw Bowen and Ben Creighton Griffiths (electro harp) and Matthew Williams (percussion). The Harp Music Competition for 2017 has the theme ‘The Music of Angels’ and the deadline for entries is 31st July. The piece is for solo harp and must not exceed 10 minutes in duration. You can find full details of concerts, workshops and the competition on the festival website, www.harponwight.co.uk. This is a fundraising day for The LOVE Festival and takes place in Evans Courtyard, Littlehampton. It’s a great way to get involved in supporting local community-led music events, especially for the kids! The Kids Fun Day Fundraiser is filled with music to dance to for children of all ages, activities and handicrafts hosted by craftspeople and artists, for the children to make & take away. There are free activities to participate in too, along with raffles, tombola, plus interactive dance activities hosted by Darren Power of Studio One Disco. A day for parents and children to enjoy together and all for a good cause, the Love Festival. 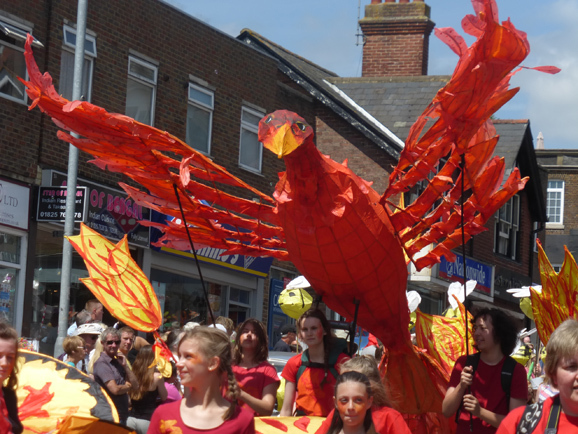 Now in its 11th year, the festival brings new and exciting performers and makers into Hailsham. The Art Trail will feature art, photography, installations and sculpture from local and visiting artists and there will be the opportunity for visitors to take part in hands-on activities. Artists are invited to apply in the spring to take part in the September Art Trail. There will be literary and dance events and workshops, stage drama and a range of live music from folk to classical, featuring top quality local musicians. The increasingly popular short film competition culminates in a screening of all of the shortlisted films on the big screen at Hailsham’s lovingly restored Hailsham Pavilion. Budding film makers are invited to start their projects now in time to submit their short films to the 3 Minute Flix competition by the end of August. 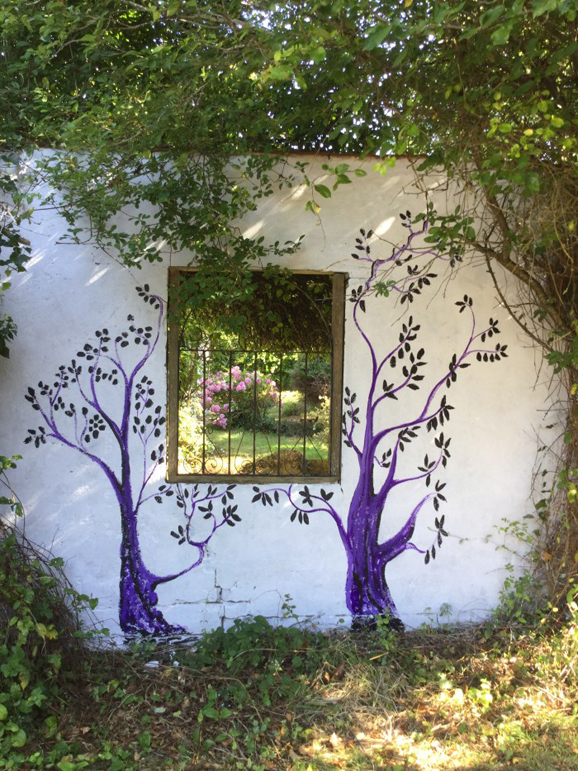 Summer Trifle is a 2 week event that includes art, open gardens, sculpture, live music, installations, crafts, arts workshops, tea and cakes, all nestled in the warm summer glow of the Sussex countryside. 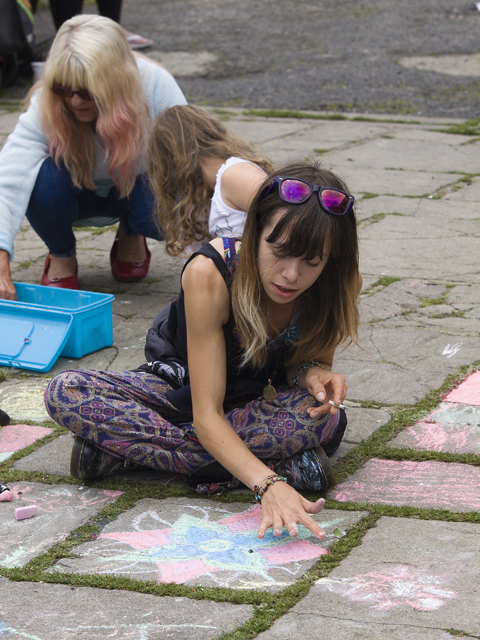 Pickhams has been the home of summer art shows and workshops for several years and in 2016 the enchanting hidden gardens were opened to the public for the first time. Added to the mix in 2017 will be live music events, a wider range of arts workshops including painting, sculpture, illustration and creative writing plus there will be even more garden murals and installations in the grounds. A map of the network of footpaths, bridleways and cycle routes that connect local public transport and beauty spots with Pickhams, in Wilmington, will be available for those who want to visit the area and leave the car at home, although there is field parking on site. Light refreshments will be available including Jill’s homemade cakes and, of course, trifle.